An ultrasonic transducer is a device that converts energy into ultrasound, or sound waves above the normal range of hearing for humans. While technically a dog whistle is an ultrasonic transducer that converts mechanical energy in the form of air pressure into ultrasonic sound waves, the term is more apt to be used to refer to piezoelectric transducers that convert electrical energy into sound. Piezoelectric crystals have the property of changing size when an electric voltage is applied, thus applying an alternating voltage (AC) can cause them to oscillate at very high frequencies producing very high frequency sound waves. Since piezoelectric crystals generate a voltage when force is applied to them the same crystal can be used as an ultrasonic detector. Ultrasonic transducers send and receive waves for many types of sensing. Examples include distance, proximity, level, nondestructive evaluation, web break detection, counting, and security applications. They typically operate at their resonant frequency with various construction options, beam patterns, and power levels. Ultrasonic transducers have many critical specifications. Transmitting frequency is the usable frequency range of the device. Bandwidth is the difference between low and high operational frequency limits. Rated signal power available from transducer is another important specification. Transmit sensitivity is the ratio of sound pressure produced to input voltage. Receive sensitivity is the ratio of output voltage produced over sound pressure sensed. The beam angle is the total included angle of ultrasonic beam. In general, a high frequency transducer will produce a narrow beam and a lower frequency transducer a wider beam. The beam angle can be influenced somewhat by the transducer housing construction. 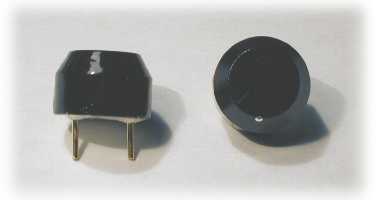 Ultrasonic transducers come in different styles for different applications.